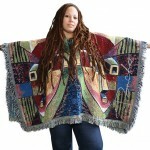 This rectangular shaped “Poncho” measures 52″ x 60″ and also comes as a “Wrap”style (Open in the front). One size fits all! 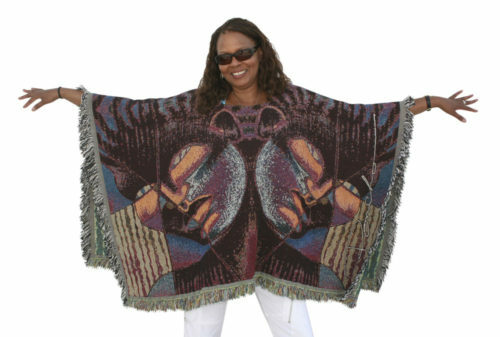 This poncho can also be worn in a triangular position for a uniquely asymmetrical funky look. 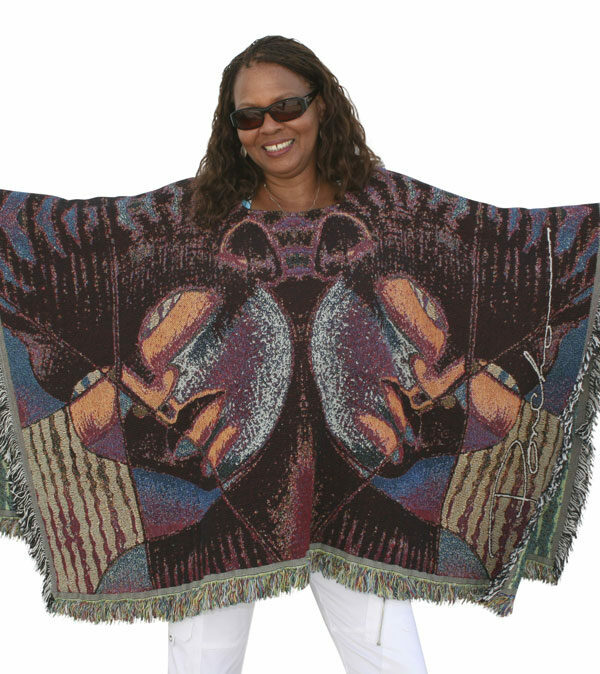 This poncho is also popular with our male customers. 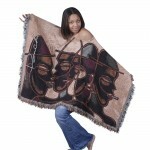 The designs were created with a celebration of culture in mind. 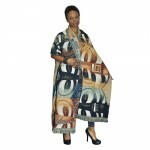 Inspired by the painting entitled “Composite of Man″ by renowned artist Larry “Poncho” Brown. This is sure to be a conversation piece! 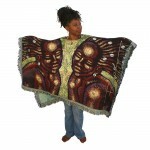 Made of 100% woven cotton tapestry in the U.S.A. PLEASE ALLOW 2-3 WEEKS FOR DELIVERY.